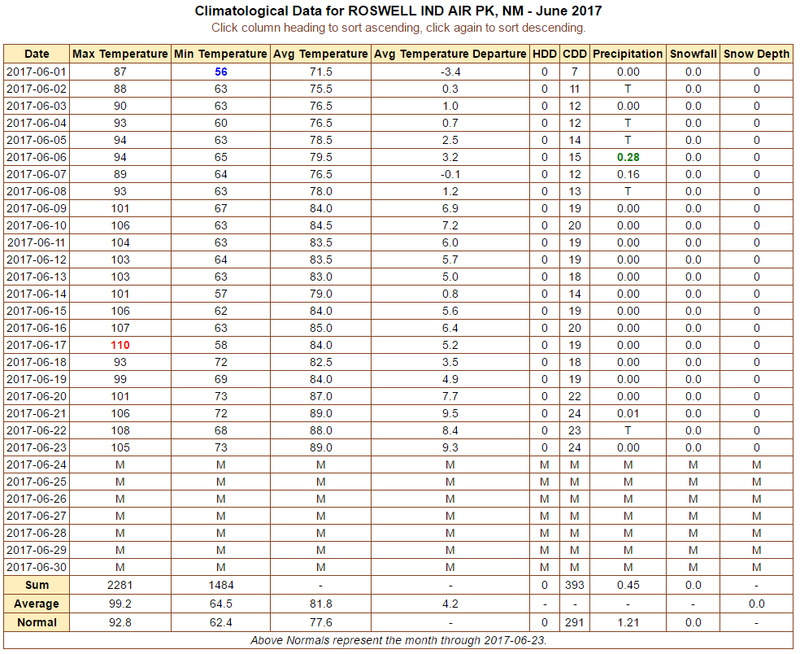 From Near The Monjeau Lookout Northwest Of Ruidoso, NM. 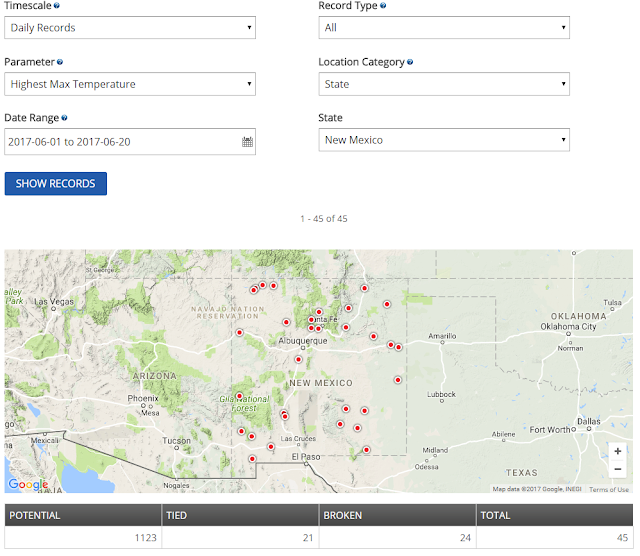 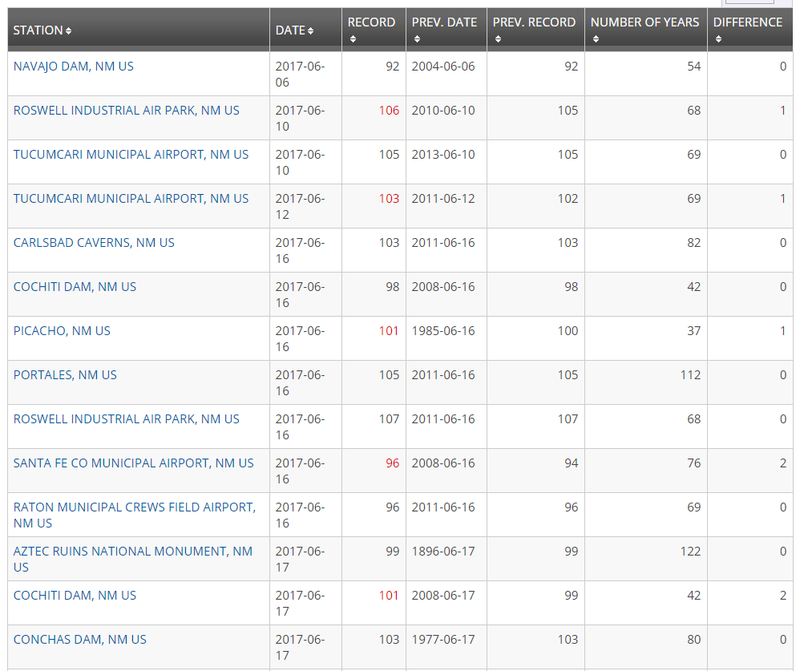 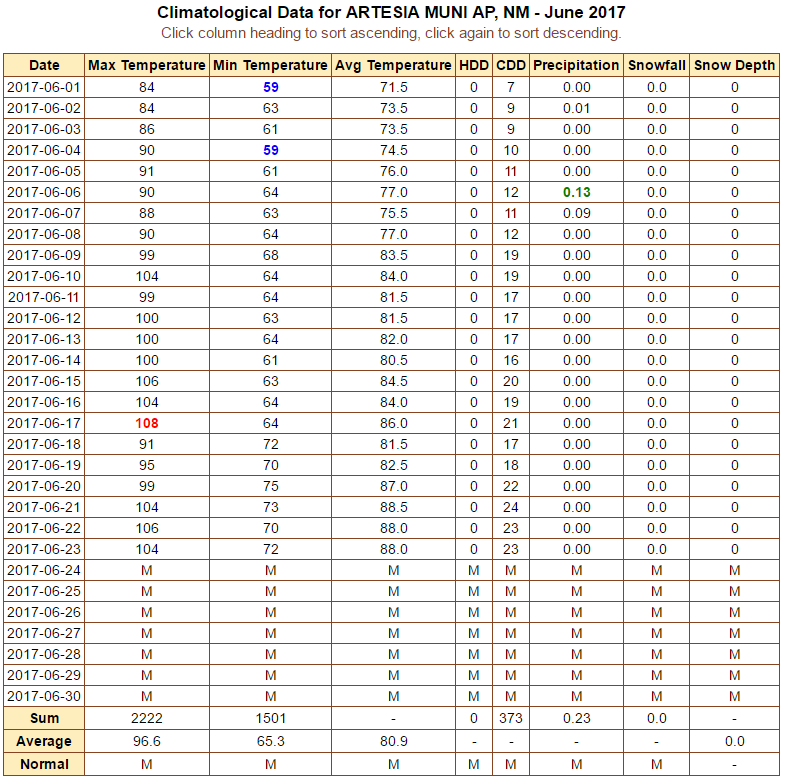 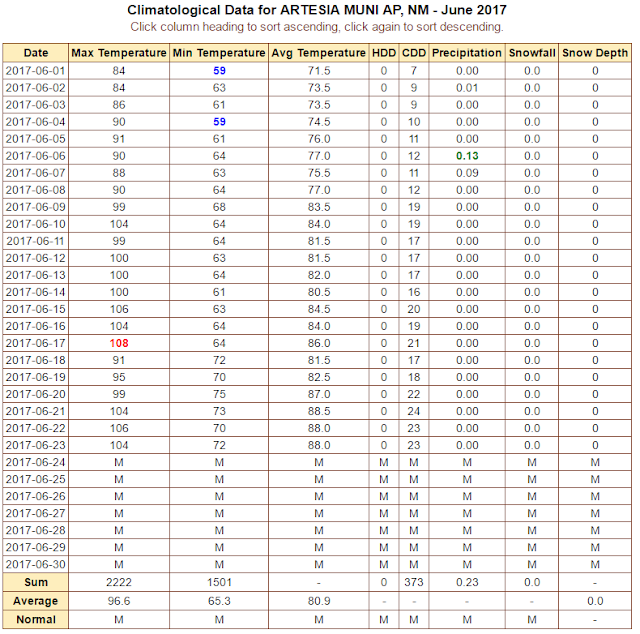 Preliminary Daily Record High Temps In New Mexico. 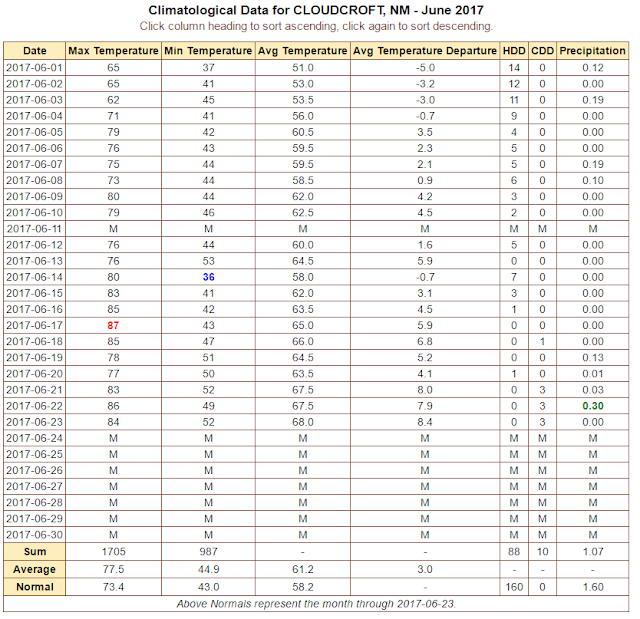 (June 1st - June 20th, 2017). 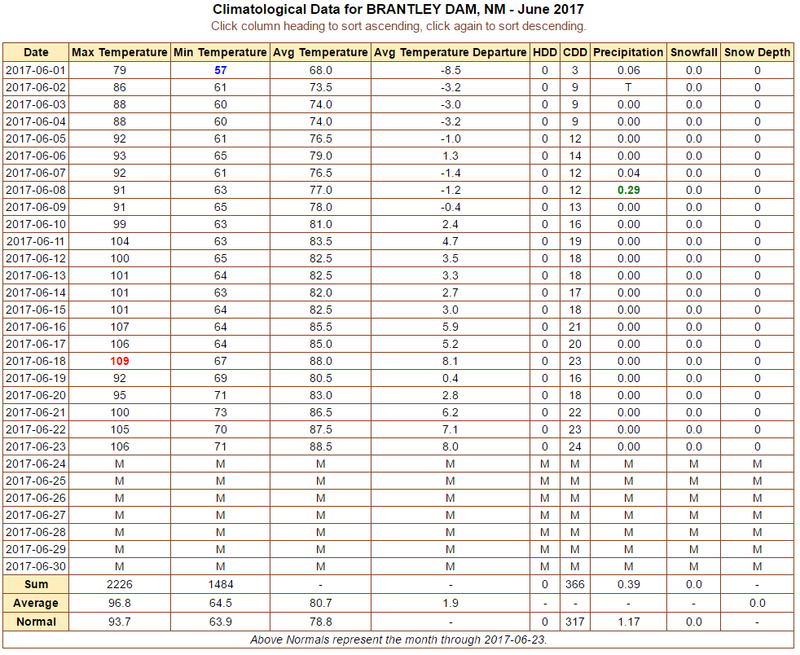 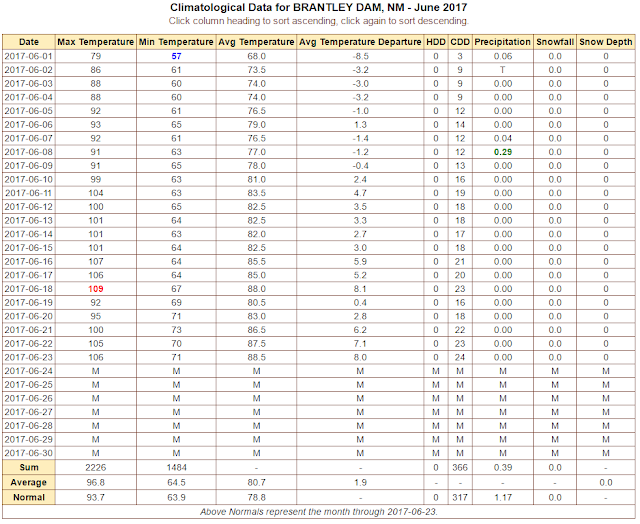 Brantley Lake Climate Co-Op Station. 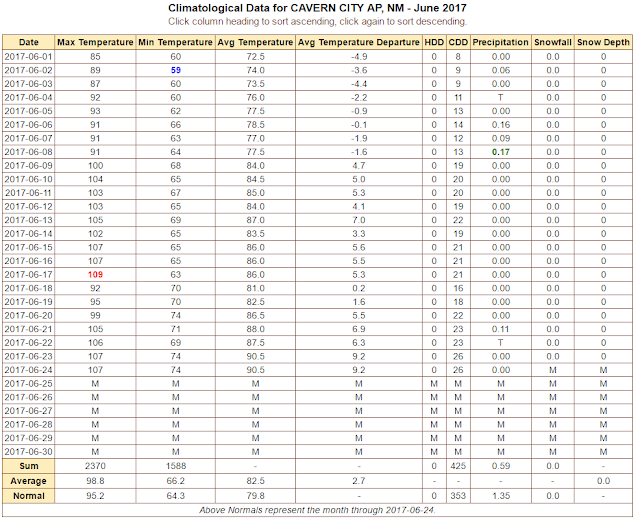 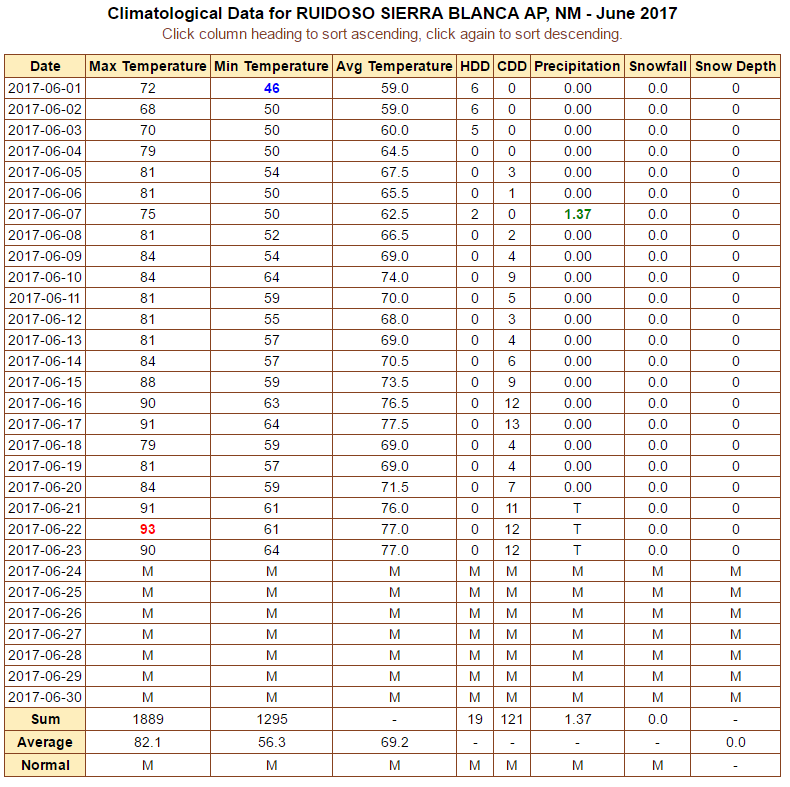 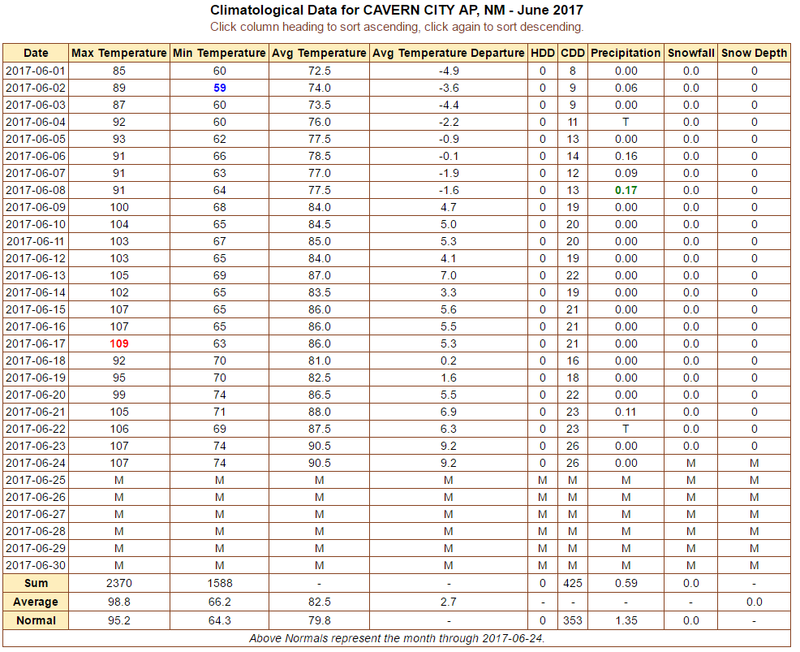 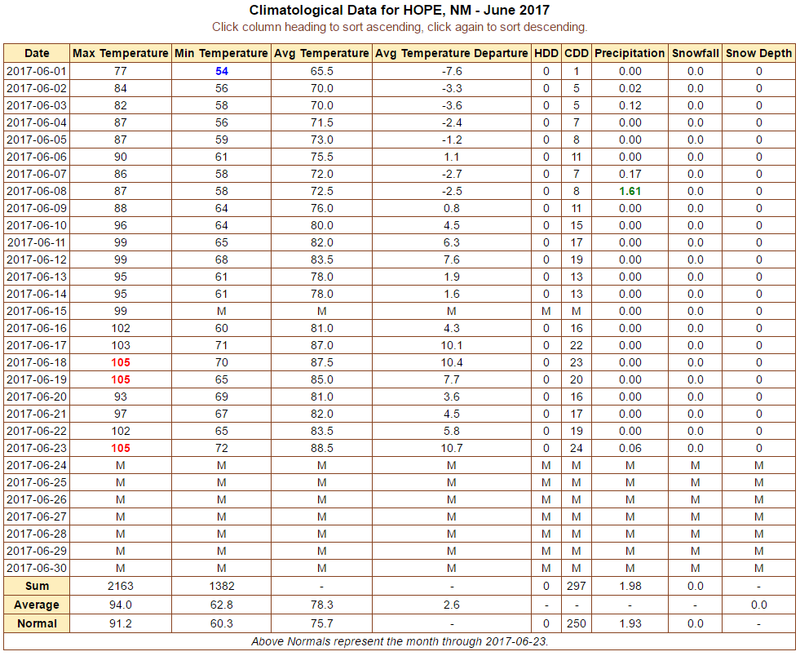 Note: The daily high temperature for the month is highlighted in red and the daily low temperature for the month is highlighted in blue on the tables above. 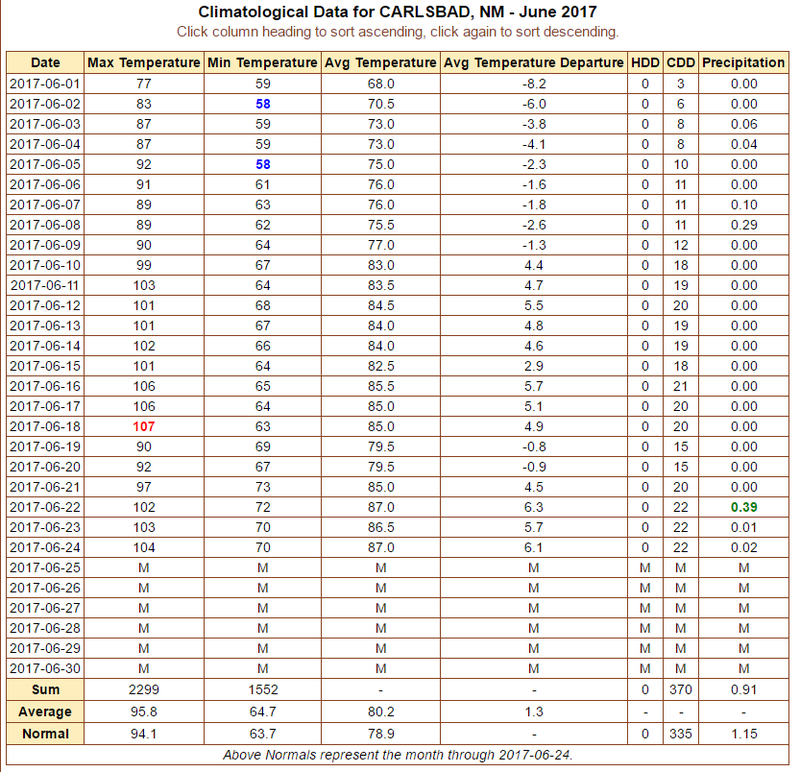 So far this month my highest temperature recorded here at our home in northwest Carlsbad on my Davis Vantage Pro2 Plus Weather Station has been the 108ºF reading on the 17th. 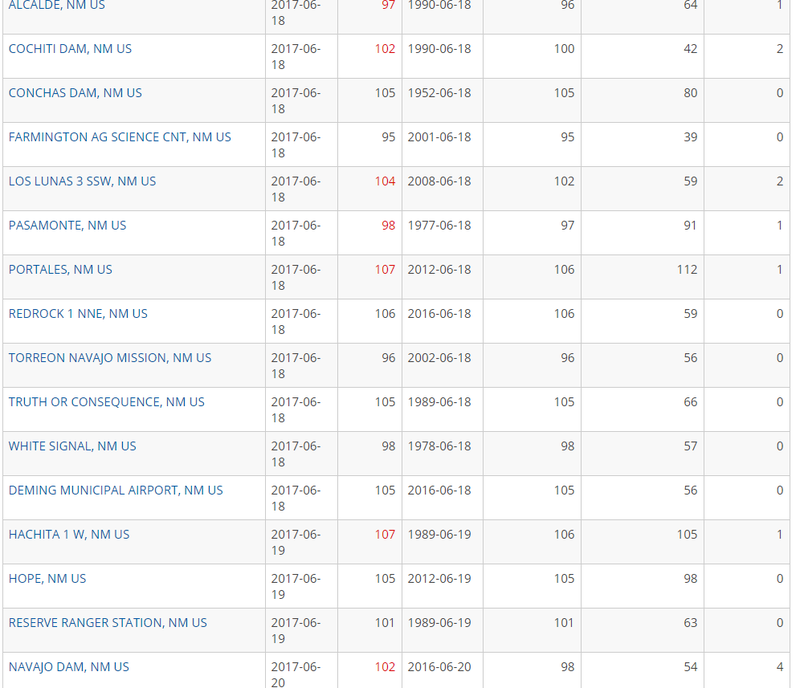 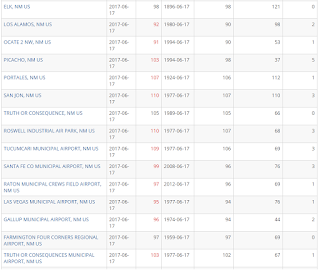 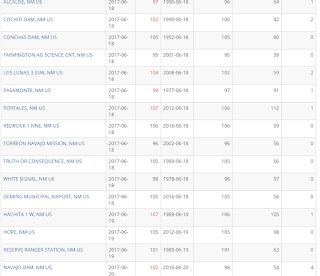 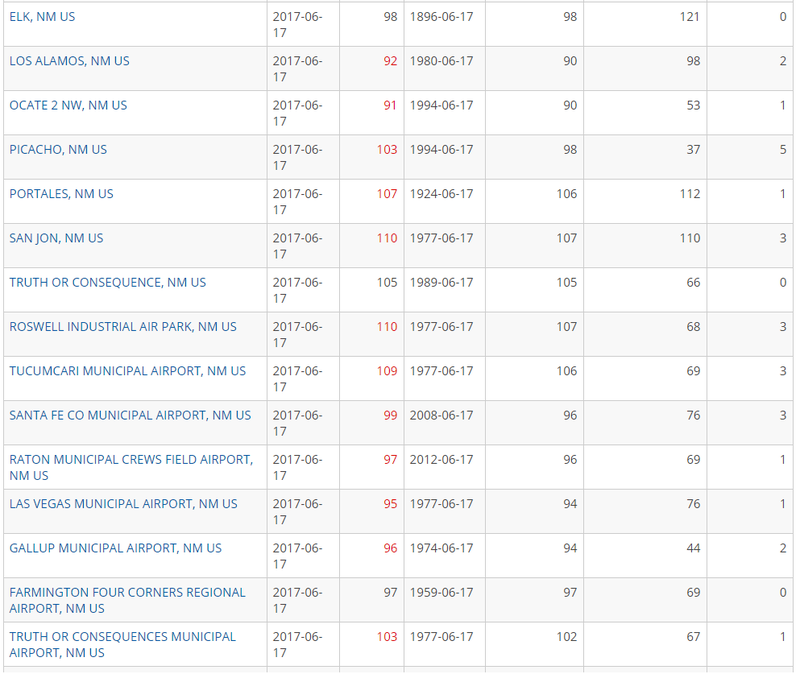 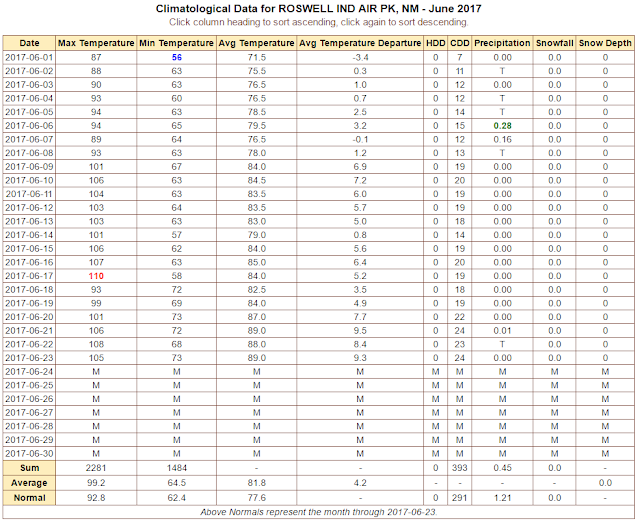 Locally the 115ºF reading recorded at the 8-Mile Draw Raws located northeast of Roswell on the 17th of this month still stands as the highest official temperature recorded so far. 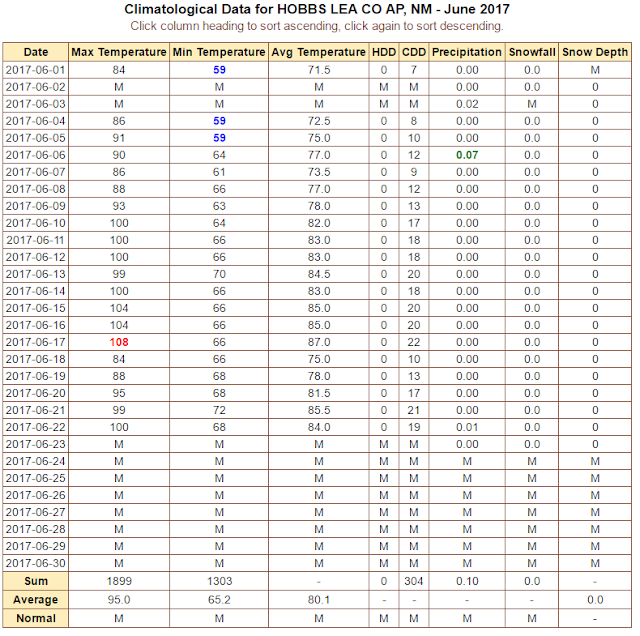 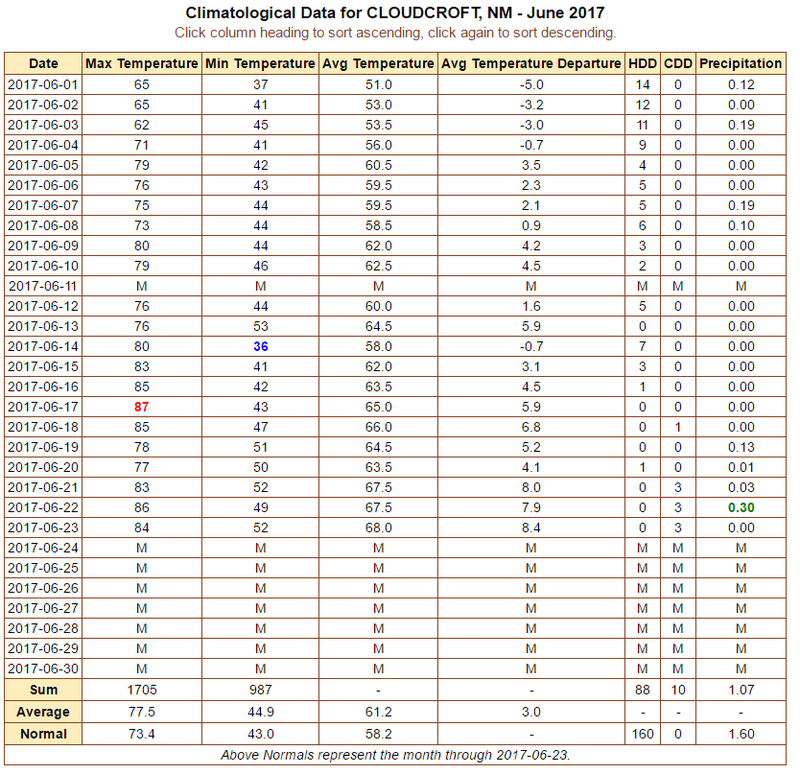 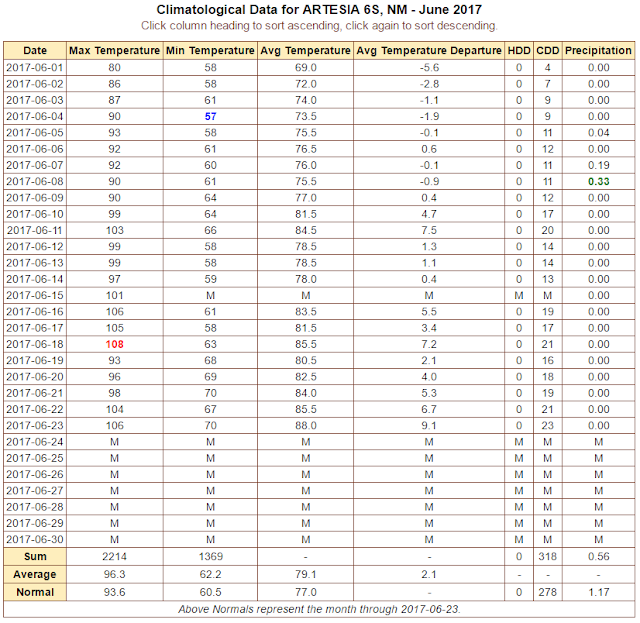 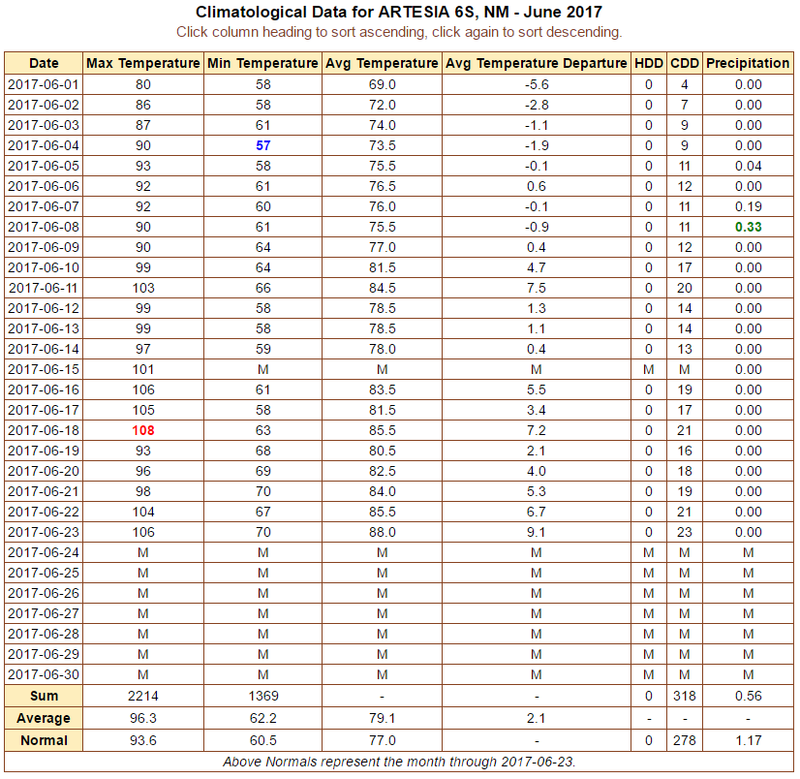 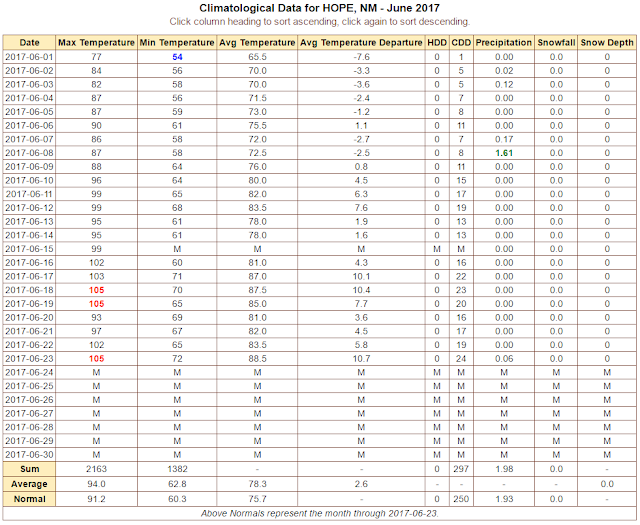 The Cloudcroft Climate Co-Op Station recorded a high temperature of 87ºF on the 17th of this month. 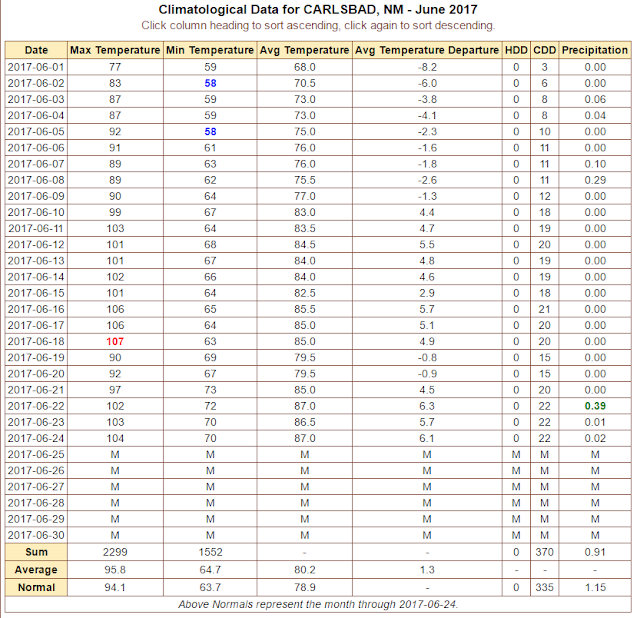 This falls short of their all-time highest temperature recorded of 89ºF which was set on June 26th, 1957 and again on July 4th, 1957.